Ragi or Finger millet is a nutrition rich grain and we often use Ragi flour at home to make cookies, laddoos, Chapathi, Semiya, etc. 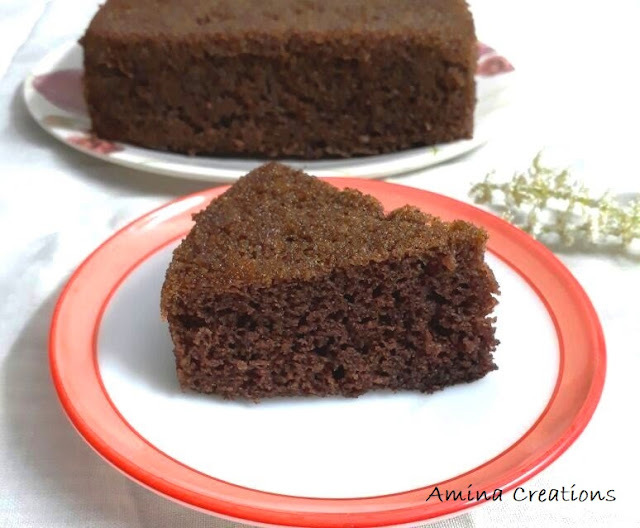 Today’s recipe is of a healthy and tasty cake made with Ragi and chocolate. I replaced half the maida with ragi flour in my recipe of Chocolate cake and made small alterations to my original recipe to make this really easy and healthy Ragi Chocolate cake. 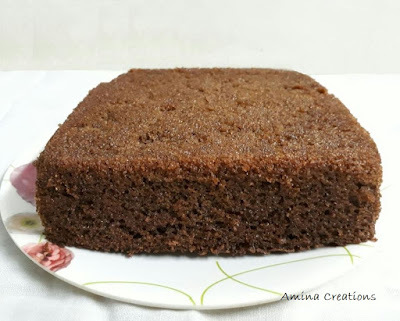 The cake came out awesome and you can see from the pics how soft, spongy and perfect the Ragi cake looks. 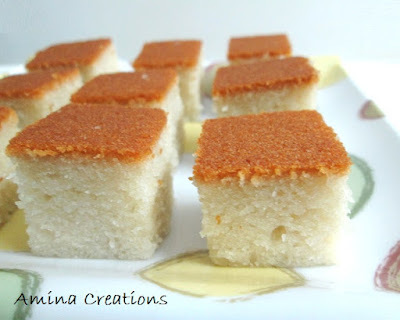 You can also use this recipe to make layer cakes. 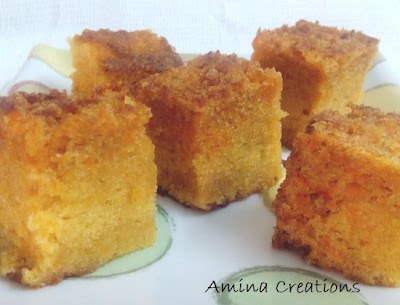 I like plain cakes without frosting that’s why I have kept the cake plain. You can add powdered sugar, frost the Ragi Chocolate cake with butter cream or chocolate frosting and serve it to your family and friends. I am sure you too will be impressed with its awesome taste. 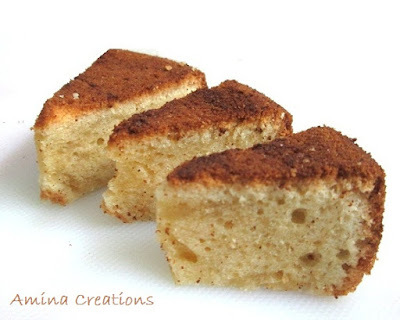 This recipe makes two small cakes. The cake got vanished in just 2 days and from this you can imagine how much everyone loved it at home. 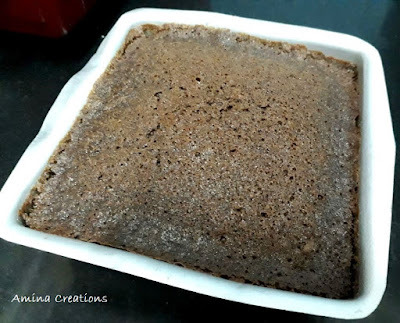 Now sieve together maida, ragi flour, baking soda, salt and cocoa powder twice and set aside. Then take a large bowl, add butter and sugar and mix. When both the ingredients are mixed well, add eggs one at a time and beat well. Now add vanilla essence, milk and beat till all the ingredients are well mixed. Preheat the oven at 170 degree Celsius with both rods on for 10 minutes. Meanwhile, grease two aluminium cake pans with butter and keep the pans ready. Then add the maida-ragi-cocoa mix little by little to the egg-butter-sugar mix and mix well either with a wooden spoon or with your hands. Make sure that there are no lumps. The batter will be slightly thin. Divide this equally between two cake pans such that they are half full and place them in the central rack of the oven. Bake at the same temperature with upper and lower rods on for 25 to 30 minutes or till a toothpick inserted comes out clean. 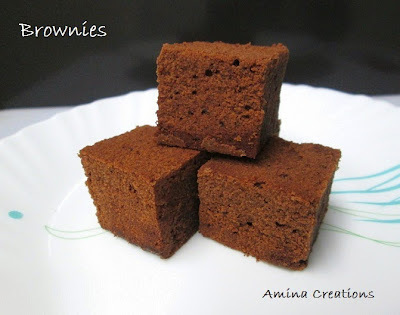 This recipe makes two cakes of 5 ½” diameter and 1 ½” height. 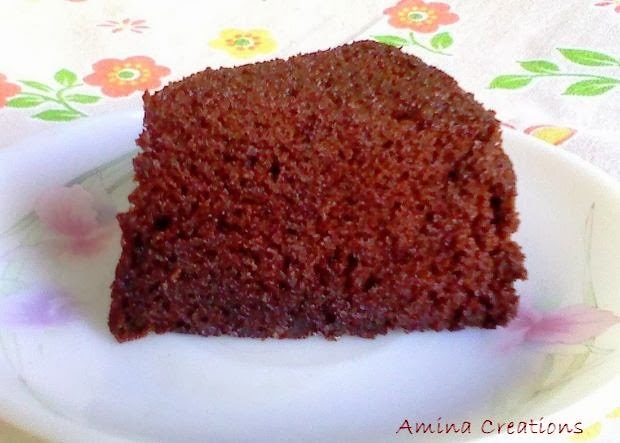 You can also cut each cake into 2 layers and assemble with cream to form one large 4 layer Ragi chocolate cake. Wow this looks like a delish recipe and very helathy too. I have marked it to be made later - thanks for sharing it!